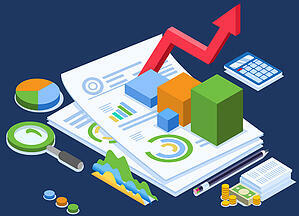 "With the right documentation, mark to market accounting becomes a 5th grade algebra problem". The process of properly valuing grain inventory contracts and futures accounts can become routine by gathering the right documents and asking the right questions. Six reports are essential documentation required for Canadian grain companies regardless of size to value grain merchandising positions. For most companies new to grain merchandising gathering the proper reports is the hardest part of the process. #1: The Grain Hedge Position Report. This report summarizes the open grain positions. It includes all inventory, purchase and sales forward contracts, and open futures positions that need to be valued. Who has it? The grain merchandiser has it, but the Owner, Banker and Accountant all need to know the information. What does it do? Summarizes positions. What do I have title to? Are we hedged? How big could my margin call be? What slots have I bought and sold grain? Do I have spread risk? What type of contracts do I have? Why is this important? This is one of the most important documents a grain merchant has. Basis traders need to know where they are to capture the most out of the market. Accountants need to value all the open positions. Bankers need to lend on the position in the borrowing base. Owners need to know the overall position. #2: Forward Purchase Contract Listing & #3: Forward Sales Contract Listing. Accounting software or spreadsheets will need the number of bushels contracted per customer, delivery period, cash price, futures price, and the purchase basis. Who has it? The grain merchant and accountant. The owner and Banker will need the total value of the position. What does it do? It tells what is bought and sold and not delivered. Broken down by contracts and delivery periods. Why is it important? It totals the value of contracts and the average basis per delivery period. #4: Month-End Commodity Statement. The monthly commodity statement sent to you by White Commercial recaps the elevator's activity for the month. There are three sections to the statement. #1: Your activity this month, which shows every transaction that affected the cash balance in the account. #2: Positions in your account, which recaps the value of open positions in your account. #3: The account value recap that recaps the equity in the account. Who has it? Your futures broker. It’s a valuable third part document. Banker and Owner should also have a copy. What does it do? It lists the futures & options contracts bought and sold, effectively showing what happened at the elevator. It shows the open futures and options contracts that will be marked to market. As well, it shows the value of the account if it were to be closed the day of the report, this is known as "Asset Value". Why is it important? These numbers are needed to show the futures side of the basis trade. Multiple journal entries will come from this document. Income statement will go to cost of goods sold, balance sheet items will go to current assets or current liabilities. #5: Currency Position Report. This report provides a breakdown of the grain inventory value and the notional value of forward contract positions for each crop and delivery period. This will calculate the currency exposure for grain positions and the totals should match the CAD futures on the commodity statement. Who has it? The merchandiser, the bookkeeper, or controller. That is, whoever makes the hedges. What does it do? It shows the value of assets at risk of currency fluctuations, as well as, totaling your currency risk and hedging needs. Why is it important? This is because Canadian corn, beans, and wheat are traded at the US basis. Canadian companies hedge assets to create the US basis. Currency volatility is real. For example, a one cent change in CAD can be a ten cents gain or loss to the bean basis margin. #6: Current Market Values. The closing market prices for futures, cash prices and basis for each delivery period that an elevator has an open position. Who has it? The merchandiser, bookkeeper, or controller, though typically the merchandiser. Some controllers will get the information from the pricing board and by checking major local buyers. It's important to note that these numbers determine unrealized gains and losses, so double checking these can be a good internal control. What does it do? It determines the market value for all open grain positions. Why is it important? These numbers are used to create the value of the grain contracts and inventory. For example, a five cent swing on one million bushels of corn will swing the financials $50,000 for the period. Collecting information from these six documents at the close of the month will give you everything you need to produce accurate mark-to-market valuations. In order to assist you with this process, we've developed a free, downloadable eBook (pdf) titled: The Six Essential Reports: Accurate Mark-to-Market Accounting for the Canadian Grain Elevator. Many of White Commercial's customers are Canadian, so we've been through these processes many times and wanted to pass along this information with the hope of simplifying the grain accounting process for our neighbors to the north. We hope you enjoy!